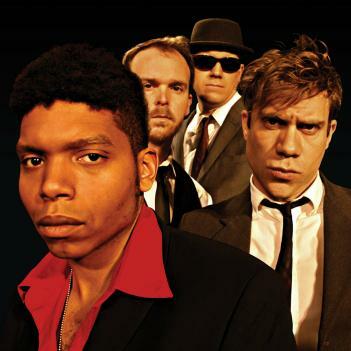 Ever since JC Brooks and the Uptown Sound graced the world with their funky, soul-infused take on Wilco's much-lauded "I Am Trying to Break Your Heart," their name has been thrown around quite frequently around town and beyond. Now the band have unleashed their new Bloodshot Records album Want More, and are celebrating with a release show this Friday, October 28th at Double Door. If the show goes down anything like the album plays out, not even the most guarded of hipsters in attendance will be able to stand still. JC and company are armed with the most soulful of soul rock, as heard on lively tunes like first single "Everything Will Be Fine," "Bad News" and the record's title track. The guys also know how to slow it down without making you lose any of the good vibrations (see ultra-smooth cuts like "Awake" and "To Love Someone (That Don't Love You)"). This is pretty much a guaranteed good time. Sweetening the deal is another of the Windy City's most noted acts--flame-haired garage rock siblings White Mystery--who seem to be playing shows constantly yet somehow never got tiresome. Also on the bill are Satan's Youth Ministers (appropriately-named considering it's Halloween weekend and all) and DJ Sloppy White. Things kick off at 9 p.m. and will cost you 10 bucks if you order in advance ($12 at the door). Click here for more information and tickets and check out "Everything Will Be Fine" below.